Do you remember Joseph Stalin? 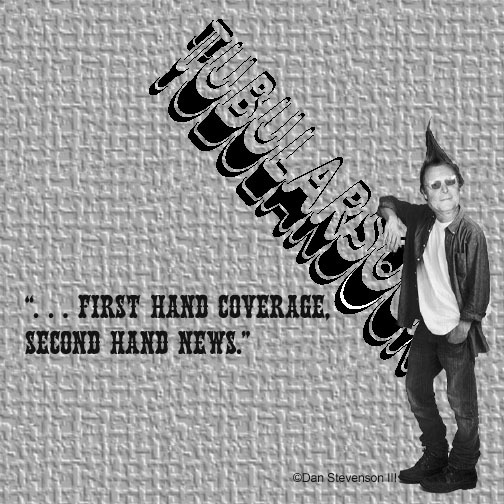 Well Joe and Tubularsock were palling around in Tubularsock’s top floor corner office in his under ground bunker over looking Washington, D.C. from Oakland, CA. Damn. Joe is one funny dude! 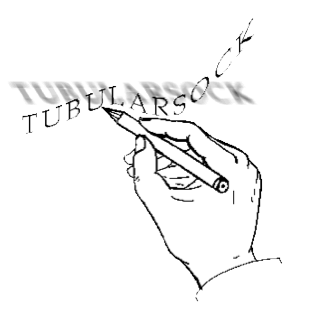 Sure, Tubularsock knows what you’re thinking. Joseph Stalin is dead! Yeah, Tubularsock will grant you that Joseph Stalin is dead but only in the physical body form. His ideas are very much alive and are being proposed as reality by Michael Stainer the Director, Division of Adult Institutions for the California Department of Corrections and Rehabilitation (CDCr). The CDCr has proposed new censorship regulations changes which fit right in with the Joseph Stalin mind-set. The regulations were created to censor any writings, mailings, and publications that would educate the public to what is really going on the prison system. Now we all know that the Prison Industrial Complex is based on PUNISHMENT and not really rehabilitation. There is no money in REAL rehabilitation because if that worked then these current prisoners when released wouldn’t return. Now is that any way to run a “Correctional Institution” and profit handsomely? It appears to be necessary to continually remind the public as well as the CDCr that even though the prisoners are in jail for some sort of crime they are still human beings and as such need to be treated with human dignity. Really. Is that such a stretch of the imagination? Now there are International recognition of humane treatment of prisoners and of all countries that should be promoting justice for the humane treatment of prisoners should be the United States. That at least is what our government propaganda tells us. True, the Bush criminals have moved the moral bar closer to hell with promoting torture as acceptable and Obummer and the boys have followed in the Bush downward trajectory. Add solitary confinement to the “torture list” and the CDCr becomes part of the problem as well. Now solitary confinement for a few days may be agued as acceptable in extreme circumstances BUT 10 YEARS, 20 YEARS??? That is TORTURE plain and simple. Now just how would these new CDCr changes fit right in with the Joseph Stalin mind frame? “If these changes are approved, publications mailed to prisoners and considered to be in violation of the new regulations “shall be disallowed into the institution and included on the Department’s Centralized List of Disapproved Publications” – permanently banned. Prisoners would no longer be able to write to the media outlets that allow us to speak to our suffering. Our torture would be magnified under these new proposed rules that Stainer and his cronies are introducing by attempting to silence prisoners and publishers whose voices have been prominent in waging struggle against our perpetual suffering. CDCr wants to stifle our truths and disconnect us from society at large. These new proposed regulations are designed to serve one purpose and that is to censor any writings, mailings and publications that educate the public to what is actually occurring in these prisons. 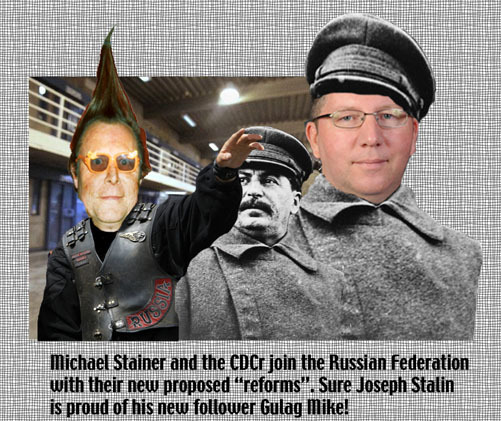 You see just like the Gulag mentality of Joseph Stalin, Michael Stainer is attempting to create that same type of mentality in the California prison system. It got Tubularsock thinking ………… if Stainer is like Stalin, who’s the criminal? The public comment period ends June 17, 2014, at 5 p.m. Written comments can be mailed to: Regulation and Policy Management Branch (RPMB), P.O. Box 942883, Sacramento CA 94283-0001. The contact person is Timothy M. Lockwood, chief of RPMB. If you have inquiries regarding the subject matter of the proposed regulations, call Christopher Abshire at 916-327-5305.